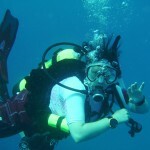 Here is a story on how safe divers, following the rules and diving within limits can still get a DCS hit . . .
Last weekend classifies as an adventure. Syd and I went on a dive trip to West Palm Beach Florida for a 4th of July weekend of diving we had scheduled a few months back and had been looking forward to. We drove to the Atlantic side starting out early Friday morning, and arrived at the Riviera Beach marina (just north of West Palm Beach) about noon, in the midst of a impressive thunderstorm, which by this time was mostly dissipating. The dive boat returned late from the morning trip and reported flat calm seas, excellent vis and great conditions so despite our groups high speculation the trip would be canceled and with an eye on the storm we headed out. The weather was indeed in our favor and the storm continued inland taking the lightening with it and by the time we arrived at the first dive site conditions looked quite good. Seas were indeed flat, a welcome site for Syd. We did two Nitrox dives on 33% O2 to 55′ for about 40 minutes (well under limits) and had a great time, seeing a wonderful variety of marine life (more on that later). We ended the second dive, had a good trip back in returning to to dock at about 7pm. The next day we arrived at 7:15am for our next two dives. Due to returning late the night before, we were unable to get Nitrox fills arranged and so would be diving air this day. (Alas, were that not the case, perhaps things may have gone differently – but that is how it went.) The boat left on time and we did two more great drift dives along ledges and once again saw some great marine life. The dive masters from Diving Solutions were fantastic and pointed out all manner of interesting things to see. Both dives went without incident and we were back on the boat after the second dive by about 11am and headed in. This series of four dives were all within computer limits, the first on EAN 33%, the second on air. All included safety stops of at least :03. Syd came within :01 of her no deco computer limit on the last of the 4 dives, but did not exceed it. We did very slow ascents on all dives and extended the safety stop to :05 on the last dive because she had neared the deco limit. They were all pretty textbook profiles with no issues. Afterwards on Saturday afternoon Syd felt extremely tired. We had thought about doing a night dive, but she was too exhausted. This should have been an early warning to us – but of course you are always tired after diving, so it is an easy one to miss. In retrospect her fatigue was noticeably higher than usual for similar dives though. We had a relaxed day, got some lunch and went for a walk on the beach – where again Syd’s fatigue was very evident and she was a bit short of breath. We had dinner with our dive team and went to bed early, about 10pm. Syd was woken from sleep at about 3:00am with intense tingling in her left arm. She got out of bed and waited to see if it improved. It did not and progressed to being numb while further symptoms were presented – her right arm began to tingle as well as her neck. It certainly appeared possible it was DCS, (Decompression Sickness). 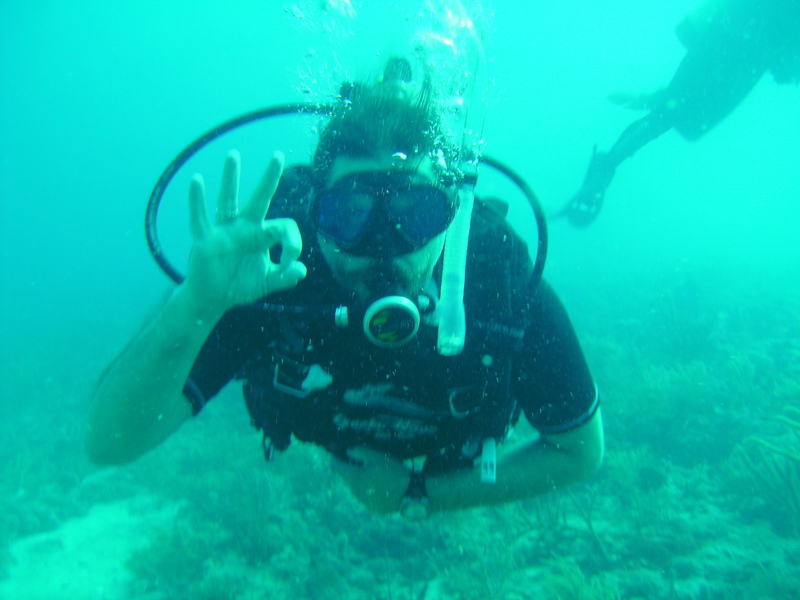 We immediately called DAN (Divers Alert Network) and consulted with a emergency diving specialist who directed us to the closest medical facility with recompression facilities, which fortunately for us was 10 miles away in West Palm Beach – ironically about 2 miles from the marina we were diving from. The odds of being so close to a facility are extremely low, so we had some good luck there. We arrived at St. Mary’s in West Palm about 4:30 and Syd was admitted to the ER where they did the initial evaluation, interview, chest xrays (to check for barotrama injuries) and blood work. 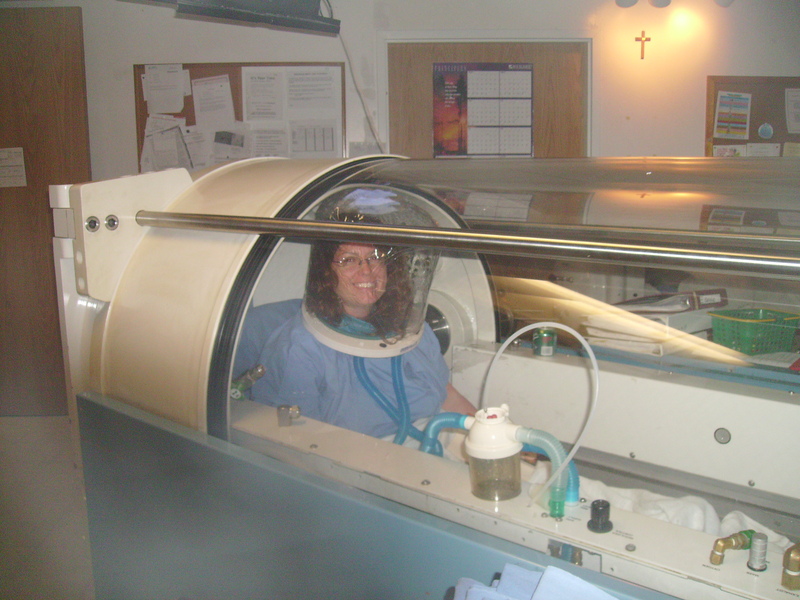 The nurse was knowledgeable with diving injuries and DCS and they called the Hyperbaric Doctor at home who directed them to prepare the recompression chamber and assemble the recompression team. 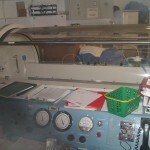 The doctor and the 2 techs arrives at about 5:00am and Syd entered the recompression chamber at about 5:30am. She had been on 100% O2 since shortly after arriving in the ER, and after about an hour of that the symptoms did lighten somewhat, but were still very much present when she entered the chamber. 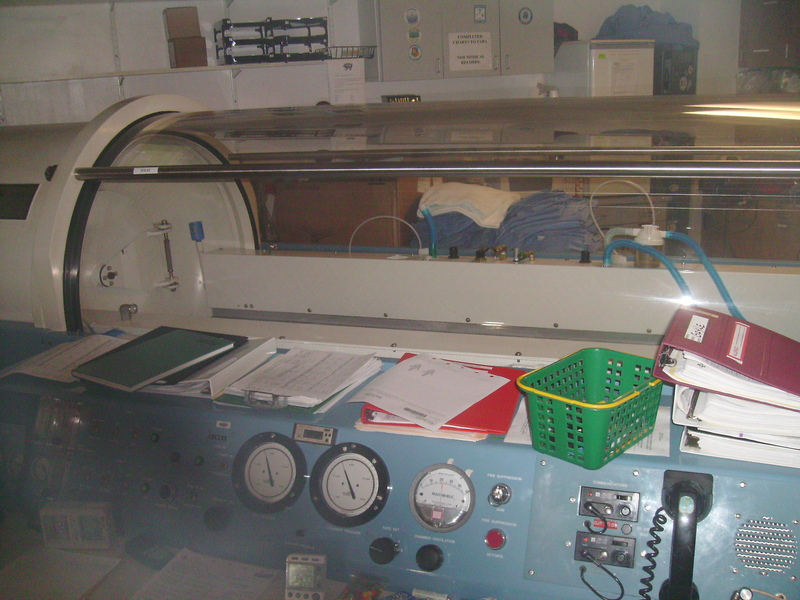 The recomprsssion scheduled was a dive to 60′ for about :45 after which they would ascend a 1′ per minute, in stages while alternating 100% O2 for :20 intervals, then air for :10. The entire recompression schedule lasted for about 5:30 total dive time. The recompression team were all great, most were divers themselves. 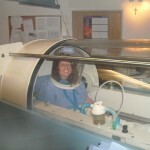 The hyperbaric doctor was an ex-navy physician who had years or experience with recompression and hyperbaric medicine. He was with Syd in the chamber for about :40 in at the start of the treatment, and one of the techs was also with her for another :40 stint. The doctor was also there when Syd completed her 5:30 in the chamber and emerged and examined her again. At this point her symptoms were gone, save only residual soreness in the left arm. All tingling and numbness was no longer present. 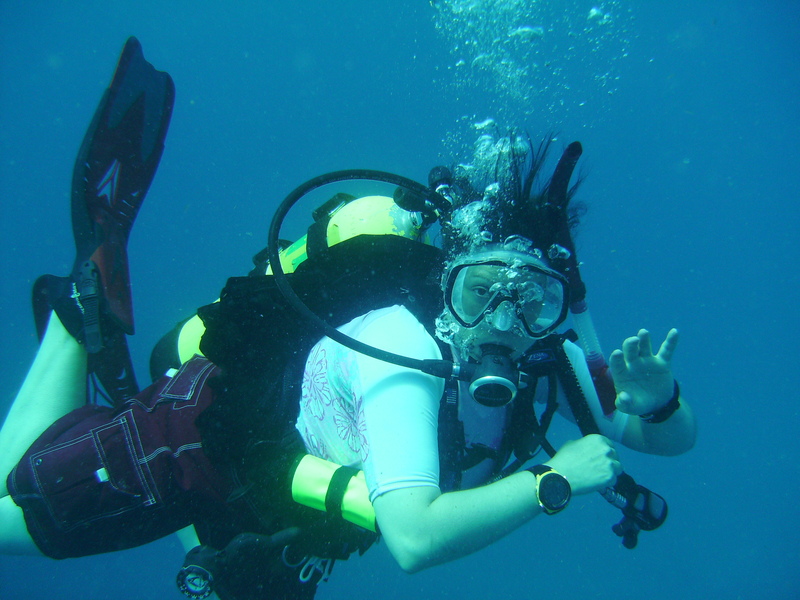 We spoke with the doctor about future diving and how to evaluate the safety of this for her. Of course there are varying opinions on diving after DCS, but getting his opinion on it from his considerable experience in the field and as a diver was valuable. We left the hospital about noon to start out on the 4 hour drive back home. That night Syd experienced a brief return of some symptoms lasting about 2 hours which then dissipated. Update: For the next two weeks or so Syd continued to experience tingling and numbness sensations. Sometimes sitting in certain positions would seem to trigger them, etc. At first they were pretty common, but they continued to diminish in frequency and severity over time. Overall he treatment appears to have been extremely effective. There does not appear to be any permanent lasting effect that is physically noticeable, and no loss of sensation or any permanent tissue damage. It was disconcerting to see symptoms reoccur in the weeks immediately after the incident, but they kept lessening and seem to have run their course. I wanted to share this experience so others can learn from it. You always hear about DCS and that even careful divers, diving within limits, can still get DCS. Yep, that is true. These were 4 dives in two days, and all evidence points to multi-day, multi-level repetitive diving carries greater increased risk of DCS. All divers are familiar with these points, yet you always think that you have to dive 6 times a dat on a live aboard, or be deep diving, or have too fast an ascent to really be a candidate for DCS. Diving to the computer / table limits is not recommended, especially on repetitive dives and she did dive to them on the last dive. Even though the safety stop was extended, it obviously was not enough and thus too long at depth had occurred, with inadequate deco, no matter how you look at it. Had we pony bottles with 50% O2 to off gas with at the safety stop, that may have helped. The dive computers (although already on the conservative side as far as computers go) cold have been used with yet a higher safety correction factor. Perhaps had we actually done the night dive (which would have been a one tank trip on EAN 34%) it may have actually helped the matter. 1) NEVER dive to your limits on repetitive dives. Watch your time and be conservative. 2) ALWAYS have active DAN insurance. Not just when you go on vacation, our of the country or on deep dives. Buy it before your next dives. For about $80 a year you just can’t go wrong. This is a hard lesson to learn. We did not have an active DAN membership, and so we are having to see what our insurance will cover and what it will not, which is not a good thing to deal with. Although the bill has not arrived, you can imagine what we expect it to be. 3) Realize that if you dive you can get DCS. Period. You can follow all the rules, be safe and do everything right and it can still happen. What you do as a diver mitigates this inherent risk. Make enough correct decisions and you can do all manner of advanced dives and never get bent. But it only takes one or two factors on the wrong side of the scale and a visit to the recompression chamber may be in your future. But most of the cards are in your hands to play and if played well, you can avoid this. In Syd’s case there was no permanent tissue damage, no long lasting numbness or long term CNS or neurological issue. Best to learn from this so that it never happens again. More to come, with pictures and a report of the dive trip itself, which was actually great. 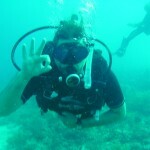 The four dives were some of the best we have done in Florida to date and were each one fantastic. Links to a little video.